DIAGNOSTIC FEATURES: Numerous pustules, with coarse soredia; yellow medulla; black undersurface; compare with Canoparmelia crozalsiana, which has a white medulla and no cilia, K+ yellow, and Parmelia sulcata, which has patterned ridging, K+ red. 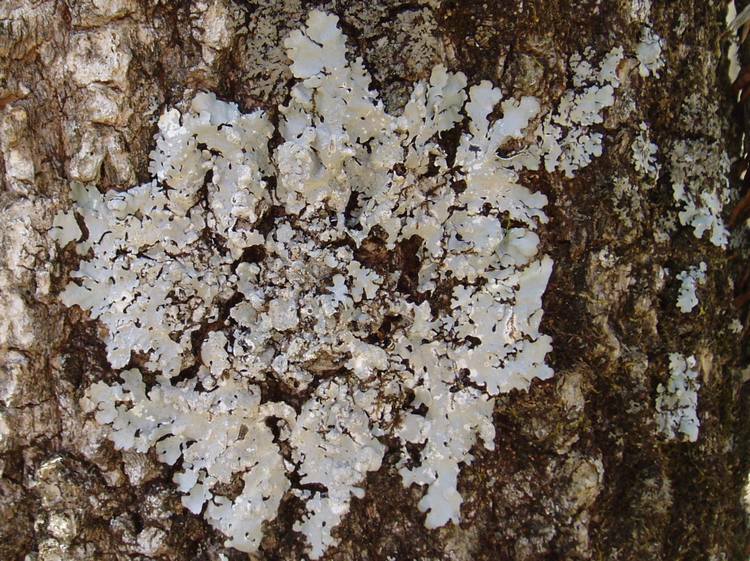 ECOLOGY: An Eastern US species which is very common on bark; one of the most common lichens in Ohio, it is probably present in every county. More shade tolerant than many species and can frequently be found in forests where few other species grow.